Rajinikanth’s Kaala is indeed the second Tamil film to have a customized emoji on Twitter after actor Vijay’s Mersal. 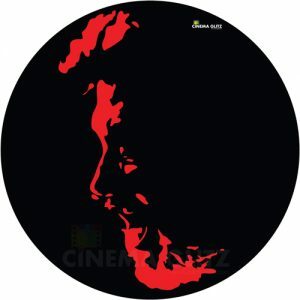 Fans of Rajinikanth are upset with the Twitter emoji because the face of Rajinikanth wasn’t visible because of the red and black color combination. In Mersal’s emoji, Vijay’s face was visible so the actor’s fans are making fun of the new Kaala emoji. Announcing the Twitter emoji, the official Twitter India handle posted “Get ready to celebrate #Kaala with a custom emoji on Twitter. Tweet in Tamil, Telugu or Hindi and use the hashtag #காலா, #కాలా or #कालाकरिकालन to see it appear!”. 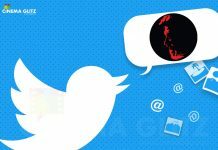 In the media statement, the producers of Kaala said “Superstar Rajinikanth’s Kaala, a production by Dhanush’s Wunderbar Films, has associated with Twitter India for multiple engagements with the platform.Today Twitter India launched a custom emoji for the film, using the hashtags #Kaala, #காலா, #కాలా or #कालाकरिकालन The hashtags are available in English, Hindi, Tamil and Telugu to match with the Hindi, Tamil, Telugu release on June 7 Apart from this, Wunderbar Films is engaging in using their platform for its features like Moments, Periscope Live – where the audio launch was also streamed, and native video for viewership/engagement from audience and monetization opportunities for advertisers and brands.This multiple engagements with the platform is among the first to be done in South India”.